Ghetto Youths International, the record label owned and operated by Bob Marley's sons Damian, Julian and Stephen, will release the brand new compilation Ghetto Youths International Presents Set Up Shop Volume 2 on December 23, 2014. The 15-track compilation follows Volume 1 that was released in February 2013 and peaked at #1 on U.S. 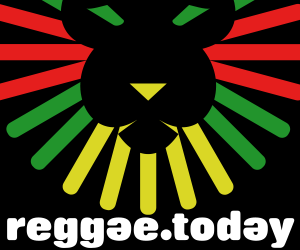 Billboard Reggae Album chart. The latest installment is produced primarily by the Grammy-winning brothers Stephen and Damian Marley. The album features new material from the entire Ghetto Youths roster, including Jo Mersa, Black-Am-I, Christopher Ellis, Wayne Marshall and the label's founders, along with dancehall artist Cham. The compilation's lead single Damian "Jr. Gong" Marley's "Is It Worth It? (Gunman World)", which contemplates a killer's conscience, will be accompanied by short film music video directed by acclaimed visionary Nabil Elderkin (Kanye West, Nicki Minaj, Frank Ocean, Bon Iver and Seal). Set in Morocco, actor Saai Taghmaoui (American Hustle, La Haine and Three Kings) takes on the role of a hitman-for-hire in Elderkin's latest visual opus. In addition to "Is It Worth It? (Gunman World)," Ghetto Youths International Presents Set Up Shop Volume 2 features a variety of thought-provoking material. Damian's motivational opener "Hard Work" is lauded as "a pulsing blueprint for flipping funds" according to The FADER, while his collaborative effort "The Living Breed" featuring Black-Am-I, Jo Mersa, Illestr8 & Biggz General rallies for social change, boasting a powerful hook stating "we are the last of dying breed and the first of a new generation..."
Dancehall's multi-faceted singjay Wayne Marshall talks about life choices on "On The Corner" (inspired by REM's "Losing My Religion") and proclaims to "Nah Give Up" on his single featuring Tarrus Riley. Carrying a similar sentiment, Julian Marley alongside Junior Reid encourages to push forward when times are tough on the uplifting anthem "Never Too Ruff", while the culturally-driven singer Black-Am-I contemplates the beauty and struggle of life back home on "In The Ghetto". Christopher Ellis, the son of Jamaican music icon Alton Ellis, "takes classic rocksteady/first wave reggae and gives it a new look" (Vice Noisey) on "Roller Coaster" and gives a fresh take on "Better Than Love" with the remix featuring Irie Love. Jo Mersa (the eldest son Stephen Marley and grandson of Bob Marley) represents a new generation too with his contemporary sound that blends dancehall, pop, and EDM - evident on "Sunshine" and the hypnotic "Rock and Swing". The set also features dancehall artist Cham showing how he rolls on "Sh@t" and Stephen "Ragga" Marley's hard-hitting anthem "Bongo Nyah" with Damian and Spragga Benz. Then, Stephen and Damian team up again on the mesmerizing track "Strike Hard". With poignant lyrics matched with top-notch modern production, the genre-bending compilation is sure to reach reggae's core contingent along with a new generation of fans.